With Twitter up for sale, the juggernauts of technology world are circling: it looks like Google and Facebook are the two front runners in what will be the biggest buyout deals of 2011. While any acquisition will lead to a narrowing down of names at the top and a consolidation of power for the big companies, if Facebook buy Twitter it means that they will become the unchallengeable custodians of social identity on the internet. Maybe most people won’t care who’s custodian of what, as long as the user experience is still good, but just think about this for a minute. And the merging of Twitter with Facebook – even if it’s just having your name and profile picture synched is a big deal. It would mean you would have one log-in, one identity, one brand. Sure there’ll still be Linked-In and perhaps you’ll have your own personal blog or website, but who you are when you connect with people online will be owned and packaged by Facebook. And if you want to have access to your friends, most of your friends, you’ll have to do it through Facebook. Google has its problems but with its open information ethos it’s a much better fit with Twitter’s open platform and public display of information. Twitter is also a useful platform for discussing Facebook and while there’s no way we can imagine they’d ever do any censorship of any sort… the diversity of platforms is only healthy. Even just from a practical point of view, most people like to have their Twitter and their Facebook personalities quite distinct – Twitter is professional, Facebook is personal with selected friends. If Google did take over Twitter it would have interesting repercussions for the news industry, as Google’s ability to break news on its own platform would far outstrip that of any news organisations. More on this soon – in the meantime – do you have any thoughts? let us know.. It will be interesting to see who will win the right to buy Twitter as Google needs Twitter in order to break into the social networking mainstream as they have not had much success with their own social network – Buzz. But with buying Twitter, it raises concern about the future of the news industry as Google will want to favour its news content over anyone elses. 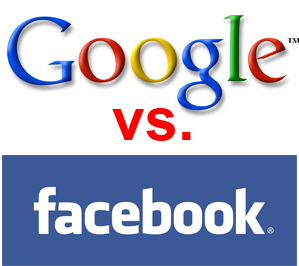 If Facebook wins, it shows that Google will face a massive challenge in order to break the dominant player in the social networking world as Facebook may then start to encroach in other areas that Google are known for. Im praying google or facebook do not buy twitter! i like having seperate usernames for different things! I just hope none of them buy twitter!